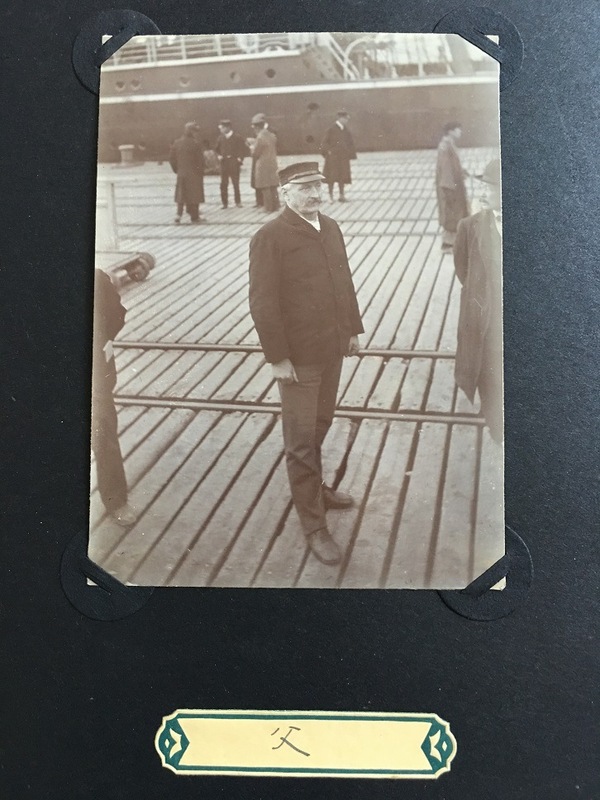 His father was a manager on the Helm docks and so from a young age he also worked for the Helms in their stevedoring operation. His son, Joji Tsunoda, who read the translation of Yokohama Yankee and contacted me, says there is a story in his family about how his father rose through the ranks at Helm Brothers. Charles Helm, by grandfather’s oldest brother and the president of Helm Brothers at the time, often saw Ranso working at the office on his way home from the chabuya, the brothel where men went for women and drinking. Charles figured if Ranso was always working so hard so late every night he could be trusted so he hired Ransu as his assistant, then later his top manager. Tsunoda-san says his father always said that “Charles-san wa inochi no onjin.”(Charles saved my life.) The picture to the right is a picture of Ranso taken in 1918 not far from where Helm Brothers had property. Motomachi is on the other side of the canal. Once Ranso was promoted to be Charles’s assistant, he would often go drinking with Charles and return after 8 p.m. Ranso met his wife at church (at Andre Kyokoai at Sakuragicho.) Later they both joined the congregation at Christ Church (Seiko-kai.) When Ranso decided to marry Tsunoda-san’s mother, his uncle, (his mother’s brother) walked by the Yokohama docks and saw Ranso’s father, Charles Wolf, yelling at everybody. He warned his sister that Ranso’s father was the devil and that she would be marrying the devil’s son. Ranso’s house survived the earthquake, but the rest of Yokohama was laid to waste. Here are pictures he took after the earthquake. Ranso’s promotion helped the family. In 1929, when the stock market crashed and the economy tumbled, there was a huge line at Sakuragicho station that went all around the block of people looking for work recalls Tsunoda-san. He remembers that in 1935, the recession was still so bad people were selling their daughters. People took their old people to the mountains to die. The 1936 uprising against the government happened because of poverty, says Tsunoda-san. 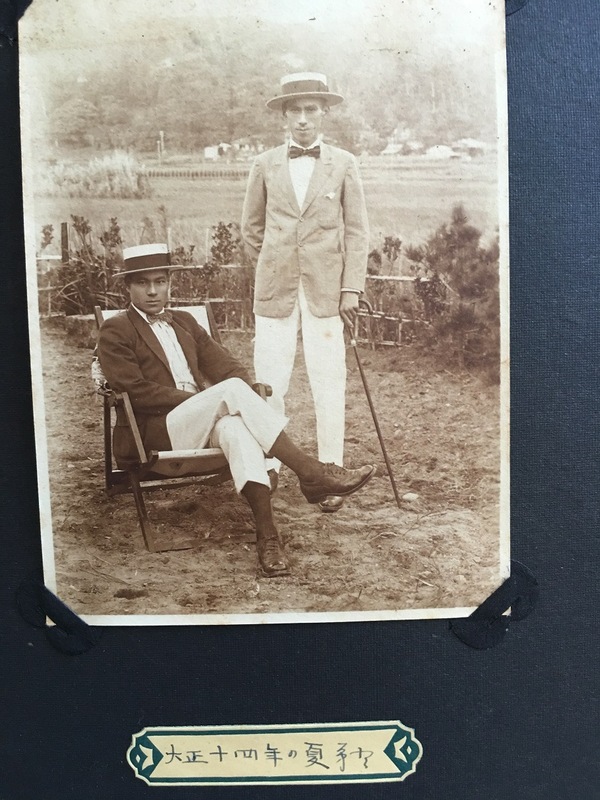 “But we were okay.” Not only did Ranso have work, the family also received dividends from Helm brothers because Ranso’s father Charles had purchased shares of the company when he worked for Helm Brothers. Charles Helm lived nearby in a 2-story building. Ranso often hung out with Walter and Monchan. (Tsunoda-san doesn’t know who Monchan was but is trying to find out.) When Charles died in 1933, the house was unused and mixed race people used it for love trysts. Tsunoda remembers other tidbits of his childhood in Yokohama. He remembers the large family house he lived in. He remembers there was a girl at the fruit store who liked Walter. “The girl asked my mother what she should do, and my mother said “If you like him, go and get him.” The girl tried to get into Walter’s house, but was bit by a bulldog and fell down the stairs. Tsunoda-san also remembers receiving a big cherry tree from the Helms in 1936 that they planted in the garden. 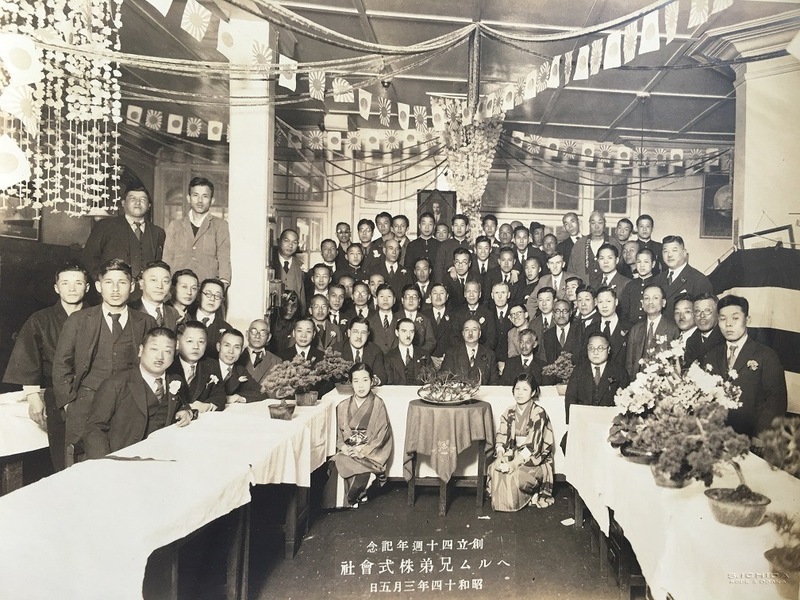 In March 1941, they sent my father to take over the Kobe office which now combines the Kobe operations of Helm Brothers as well as that of its stevedoring subsidiary, Toyo Unso. 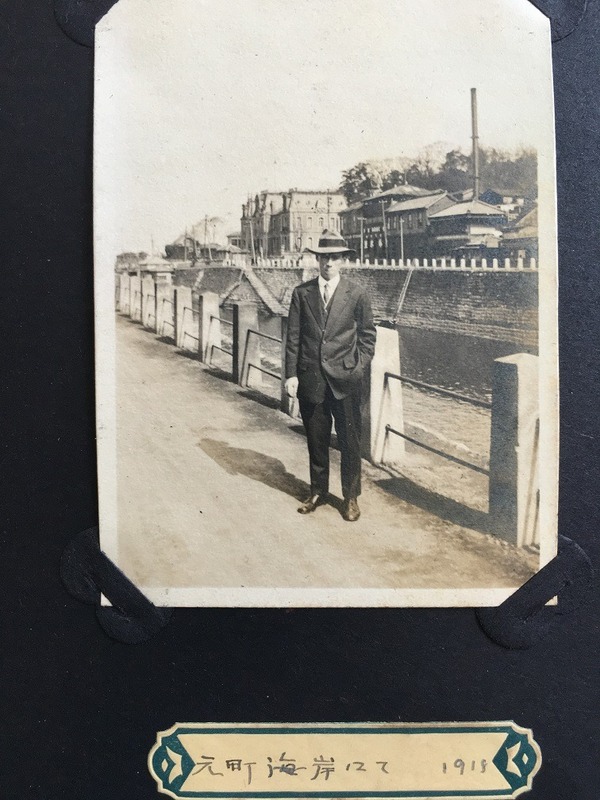 My grandfather’s older brother Jim, who had run the Kobe operations for many year, had decided to return to the United States because of the anti-foreign sentiment that had developed. One big problem Ranso faced was what to do with his house in Yokohama. Because many felt that war was imminent in 1941, many foreigners were leaving and so real estate prices had plummeted. Ranso took a big bottle of sake to the home of a prominent local and asked him to sell their house at 96 nishi no tanimachi. Ranso’s son Tsunoda says the family received almost nothing for the house. Tsunoda-san remembers speaking English to his father. He would say good morning papa, good night papa. His sister, Emi, went to St. Maur’s about 1932. But when the war started, they couldn’t listen to Jazz anymore. ” loved Jazz. And you couldn’t use words like “ball and “strike.” I had to stop saying mama and papa. Good morning and good night. In Kobe they rented a large house and lived well for a while as the head of the Kobe office. But very soon afterward in 1942, the government took over the companies and merged it with Japanese stevedoring companies. His father was sent to a small shipbuilding company and the family became very poor. “There were times we had 20 pieces of corn for dinner. We would combine kasu and mugi and fry it to eat. After the war, everything changed quickly. In war, if you said the truth you were sent to jail. Father was followed by people because they thought he was a spy. Nobody was on the road unless you were going to a factory or going to a military base. After the war, suddenly everyone loved America. “Once someone at school put on a record of military songs on purpose. The principal was so embarrassed. Still, we had not money so we sold our piano for 200,000 yen. We also sold our typewriters. After the war, my father was asked to work at Helm Brothers again but had moved whole family to the Kobe area and we didn’t want to move back to a Yokohama that had been destroyed by fire. 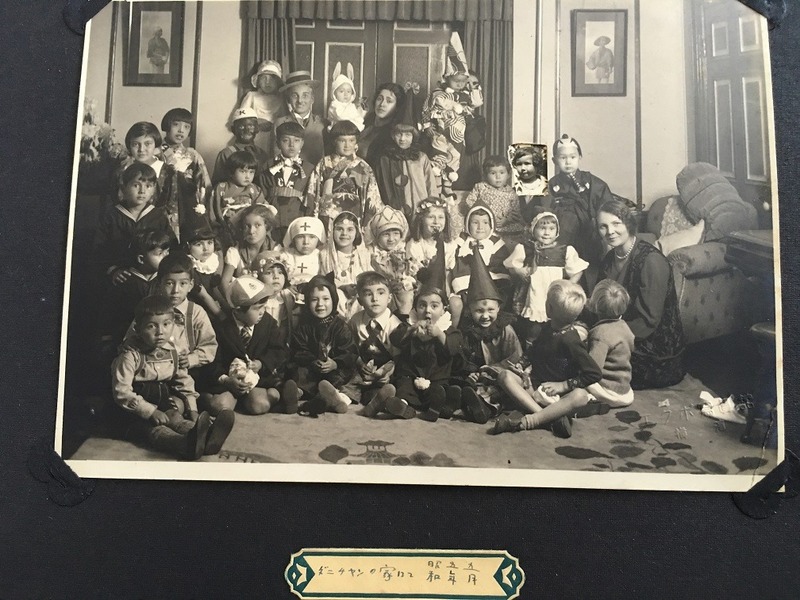 Among Tsunoda-san’s many pictures was this picture taken at my father’s house when he was 6 years oldThis This picture, which I had never seen before, was taken March 5, 1939 during the 40th anniversary part for Helm Brothers. At the center table is Willie Helm, my grandfather’s younger brother. The man two his rights is Ranso Wolff. 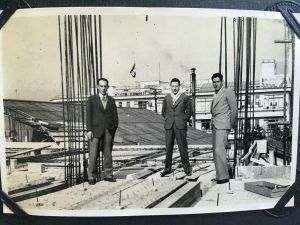 The picture to the right is Ranso (on the far left) during the construction of Helm House about 1938. Ranso’s best pictures are of the 1923 Kanto earthquake and a will post them in another blog.